Study links low tire pressure to sharp increase in crashes. Today’s tires are engineering marvels, improving both performance and fuel economy, even if they tend to largely be ignored by motorists. But that’s a problem that also turn a tire into a killer. A new government study warns that as many as one in 20 crashes could be linked to tire-related problems, with underinflated tires posing an especially high risk of causing a problem. “Tire problems are inherently hazardous to vehicle safety,” said the report by the National Highway Traffic Safety Administration, which based its study on crash data covering a three-year period from 2005 to 2007. The report found that underinflation was the biggest problem, with a tire 25% below its rated pressure three times more likely to be involved in a crash. Part of the problem is that a low tire reduces the vehicle’s stability even under ideal conditions, but it also makes it significantly more difficult for a driver to maintain control in bad weather or during emergency maneuvers, such as swerving to avoid an obstacle in the road. Problems also can result from worn tires, especially those that have gone bald or have damage to the tire that could lead to a catastrophic blow-out. The study noted that tire problems, in general, were more likely to lead to accidents in bad weather. Industry officials say the study underscores the need to properly maintain tires, repairing or replacing those that are damaged while always keeping tires at the proper inflation. That message should now weigh doubly on the minds of consumers. Properly inflated tires also deliver significantly better fuel economy. A low tire can reduce mileage by as much as 5% to 10%, by various estimates. 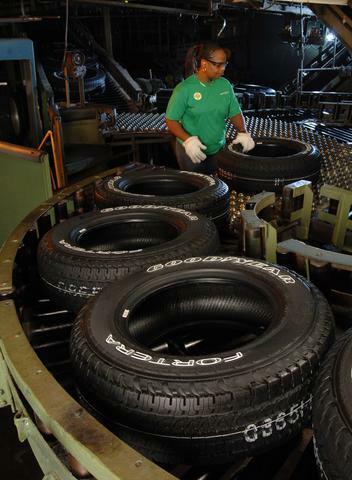 Regulators and industry officials alike have been paying more attention to tire safety since the recall of 13 million tires used on the Ford Explorer, a decade ago. Problems with the tires – compounded by improper inflation – were linked to 280 deaths. Congress subsequently passed a law mandating all vehicles be equipped with tire-pressure monitoring systems, or TPMS. But the more basic version of the technology is prone to false alerts and doesn’t necessarily show which tire is low, some studies suggesting consumers often ignore the warnings. That has led many manufacturers to adopt more advanced TPMS technology – such as will become available in the 2013 Nissan Altima – that provides specific inflation information on each individual tire. This entry was posted on Tuesday, May 15th, 2012 at and is filed under Automobiles. You can follow any responses to this entry through the RSS 2.0 feed. Both comments and pings are currently closed.